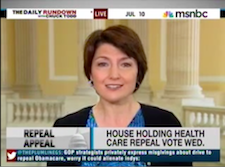 I received an email from Cathy McMorris Rodgers touting her 2012 accomplishments. And that's just for the year 2012. Well I think she's short changing herself. Let's have a look at accomplishments of the 112th Congress for the years 2011-2012. (1) Setting the record for the lowest approval rating ever. (2) Being the most polarized Congress ever. (3) Defying the definition of insanity, the House successfully voted to repeal the Affordable Care Act for the 33rd time. (4) They caused the first ever downgrading of the U.S. credit rating. (5) They were the most dysfunctional Congress yet. Our congresswoman shouldn't be so modest. She should step up and take the credit she is due. 1. Appointed the bigot John Brennan to head the CIA. Brennan supports torture, rendition, and is an enabler of Obama's fetish for drone attacks on noncombatants, including children. Democrats who voted for Obama say nothing, because, let's face it, Democrats are like the upright Southerners of the Sixties who wouldn't dream of joining the KKK, but who were quite happy to join the White Citizen's Council. Brennan is so polite y'all. 2. Obama agreed to a massive hike in the payroll tax, effectively wiping out any tax advantage for the working class in the fiscal cliff deal. Elite liberals say nothing because they got theirs. 3. Obama continues to refuse to prosecute Wall Street crooks, and now the AIG fraudsters are suing the same US taxpayers who bailed them out. Obama and the Democrat pols just smile and brag about the fake Wall Street "reforms." Hey, maybe Barney Frank should be a Senator! 4. Obama signed off on crooked deals with the big banks that let them to continue to stick it to the same mortgage victims they defrauded twice-over during the meltdown. But that's OK, right? Because wages have soared for working class folks, keeping up productivity gains and wiping out income inequality. Or not.